Lansing, Mich. — January 23, 2019 — It is with heavy hearts that the Michigan Credit Union League (MCUL) reports the passing of former MCUL CEO Ken Bixby. He passed away Jan. 20, 2019 after a six-month illness. Bixby is survived by Marge, his wife of 62 years; their four children: Karen (Norm Ledgett), Chris (Cindy), Kathy (Bucky Jones), Greg (Kelly); and nine grandchildren: Katrina, Steven, Adam, Eric, Megan, Stephanie, Brian, Ryan and Joel. He also leaves behind seven great grandchildren: Everlee, Alyssa, Cailynne, Ryan, Halie, Caitlynn and Salvadore. 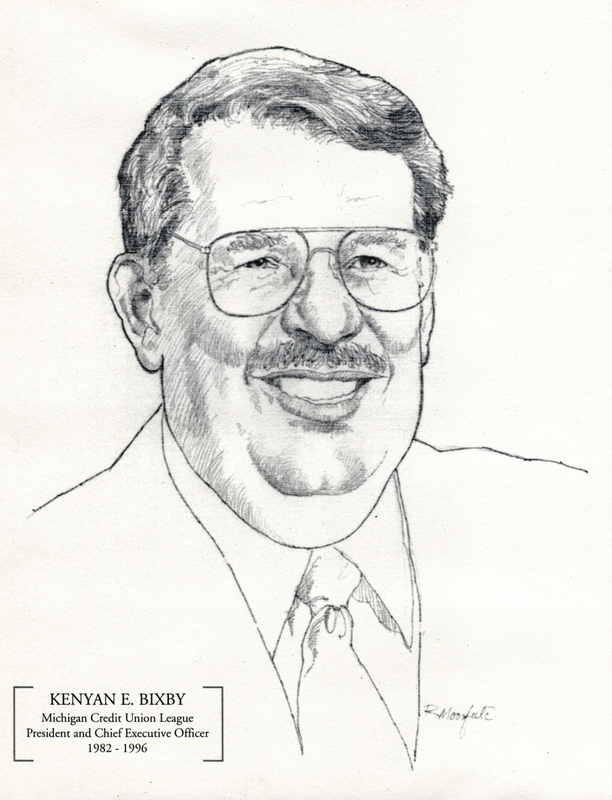 Bixby came to MCUL in 1982 as the managing director. Soon after, he was named CEO and maintained that title until 1996, when he retired. Previous to coming to the League, Bixby worked for the National Credit Union Administration (NCUA) and was known for building a strong relationship between the NCUA and MCUL. When Bixby arrived at the League in 1982, the national economy was in rough shape, and the former CEO is remembered for maintaining MCUL’s financial health even when the nation’s was uncertain. For Bixby’s obituary and service information, visit here.